As a group, charadriiforms range greatly in their diet and feeding strategies. Because of their use of aquatic habitats, many Charadriiformes species eat primarily fish. Among the fish-eaters, there are various methods for pursuing prey. The terns, for example, dive from the air into water to catch fish near the surface of the ocean. Alcids (auks, puffins, and murres) are good swimmers and swim underwater after their prey. Skimmers fly low over the water and scoop up fish from near the surface. 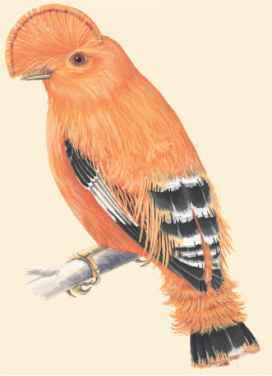 Other Charadriiformes have a diet formed primarily of insects and other invertebrates. Plovers search for insects and phylum class subclass • order monotypic order suborder family other prey using their eyes, and then pick them from the ground with their short bills. Most sandpipers, on the other hand, rely largely on the sense of touch, using their long, sensitive bills to locate prey hidden in mud. Plants and other vegetable matter form an important part of the diet of some Charadri-iformes species as well. Sheathbills, for example, eat large amounts of algae (AL-jee). Plains-wanderers eat primarily seeds. Seed-snipes, despite their name, eat primarily buds, leaf tips, and small green leaves.